To place an order please phone or email us! Minimum one week notice on small orders. For custom or large orders please provide two weeks notice but note we do book up quickly so the sooner the better! 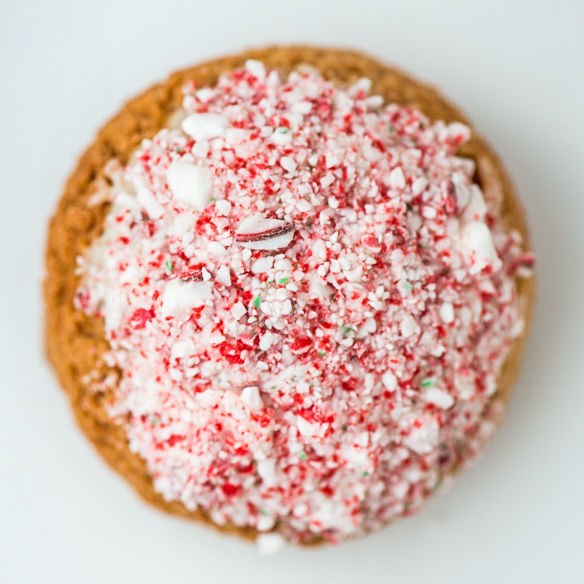 These two bite cream puffs are filled with a perfectly smooth chocolate peppermint diplomat pastry cream and then dipped in white chocolate and crunchy candy cane. Packaged pretty, these make for a fantastic hostess gift this Christmas or the perfect petit four with coffee! If picking up a few days prior to an event, immediately store cream puffs in the freezer. Defrost (uncovered) at room temperature a few hours prior to serving. 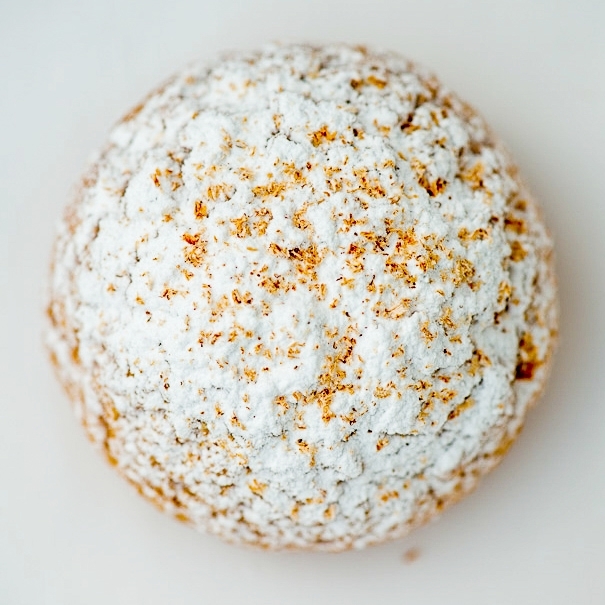 These two bite cream puffs are filled with a perfectly smooth gingerbread diplomat pastry cream and topped with crunchy ginger molasses cracquelin. Packaged pretty, these make for a fantastic hostess gift this Christmas or the perfect petit four with coffee! These two bite cream puffs are filled with a perfectly smooth chocolate diplomat pastry cream and homemade marshmallow fluff. Then topped with a crunchy chocolate coating, chocolate drizzle and marshmallows. Packaged pretty, these make for a fantastic hostess gift this Christmas or the perfect petit four with coffee! These two bite cream puffs are filled with a perfectly smooth egg nog diplomat pastry cream. Then topped with a dusting of icing sugar and freshly grated nutmeg. Packaged pretty, these make for a fantastic hostess gift this Christmas or the perfect petit four with coffee! Filled with a variety of flavours including Eggnog, Baileys Hot Chocolate, Gingerbread and Dark Chocolate Candy Cane this is THE PERFECT box for those who want a little bit of everything! Packaged pretty, these make for a fantastic hostess gift this Christmas or the perfect petit four with coffee!